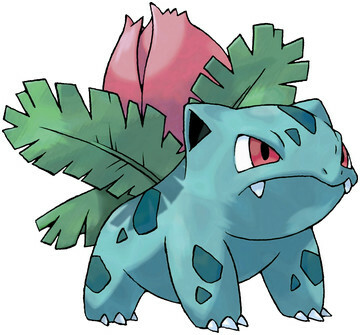 Ivysaur is a Grass/Poison type Pokémon introduced in Generation 1. It is known as the Seed Pokémon . The effectiveness of each type on Ivysaur. 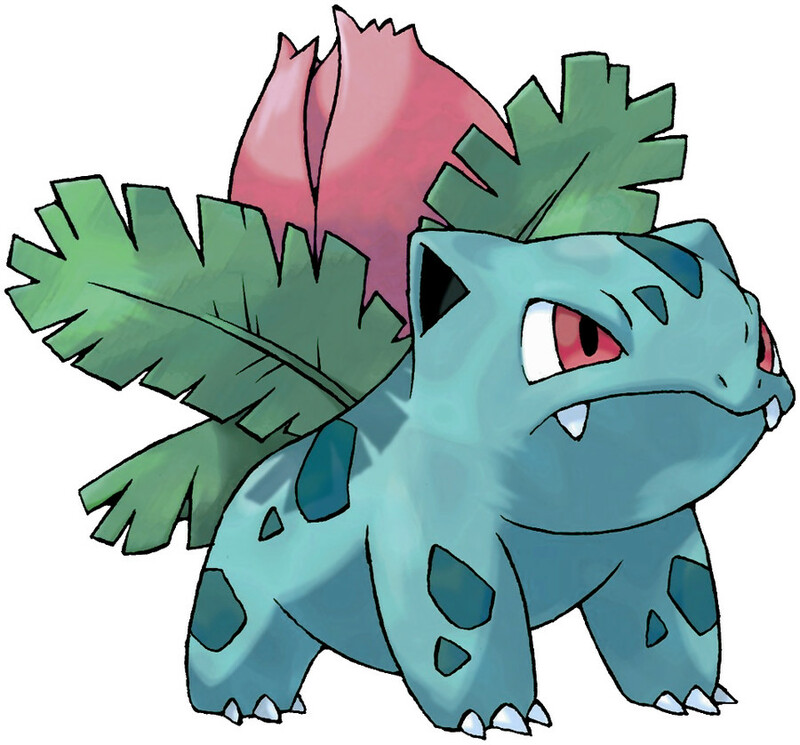 In Generation 1, Ivysaur has a base Special stat of 80. In Generations 1-4, Ivysaur has a base experience yield of 141. Exposure to sunlight adds to its strength. Sunlight also makes the bud on its back grow larger. If the bud on its back starts to smell sweet, it is evidence that the large flower will soon bloom. The bulb on its back grows as it absorbs nutrients. The bulb gives off a pleasant aroma when it blooms. There is a bud on this POKéMON’s back. To support its weight, IVYSAUR’s legs and trunk grow thick and strong. If it starts spending more time lying in the sunlight, it’s a sign that the bud will bloom into a large flower soon. To support its bulb, IVYSAUR’s legs grow sturdy. If it spends more time lying in the sunlight, the bud will soon bloom into a large flower. Ivysaur learns the following moves in Pokémon Let's Go Pikachu & Let's Go Eevee at the levels specified. Ivysaur learns the following moves in Pokémon Ultra Sun & Ultra Moon at the levels specified. Ivysaur learns the following moves via breeding in Pokémon Ultra Sun & Ultra Moon. Details and compatible parents can be found on the Ivysaur egg moves page. These moves can only be learned in Pokémon Ultra Sun & Ultra Moon by a previous evolution of Ivysaur. Check the respective Pokédex for the exact details. Ivysaur can only learn these moves in previous generations. It must be taught the moves in the appropriate game and then transferred to Pokémon Ultra Sun & Ultra Moon. Can someone find a cool picture of Ivysaur, Wartortle, and Charmeleon?